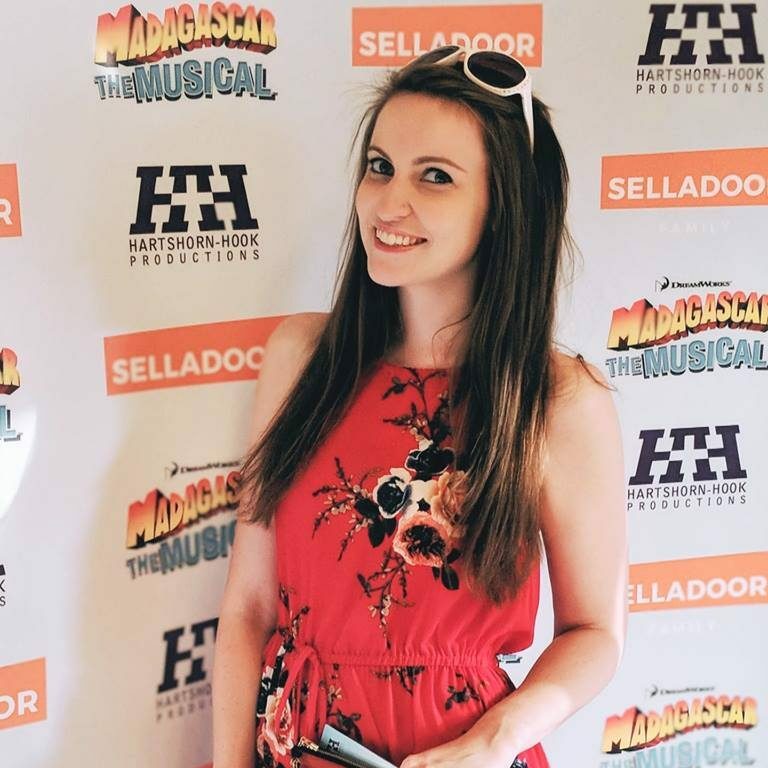 The magazine that led many teenage girls through the ups and downs of adolescence is now the subject of a touring jukebox musical. With a book by Mike James and a stack of seventies hits, this lively, fun-loving show is one for any girl with fond memories of Jackie magazine. 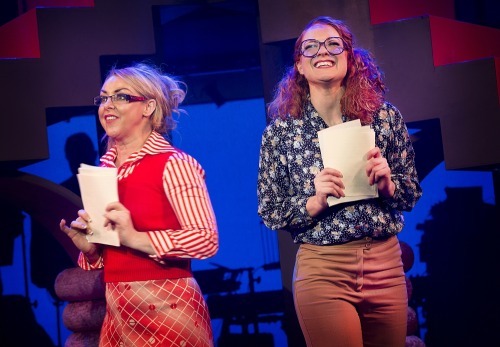 Jackie the Musical encounters one of the magazine’s former avid readers in the midst of a mid-life crisis, in her fifties and on the verge of a divorce. When she rediscovers old copies of the teen favourite she begins the journey to finding joy in her life with the help of her fifteen-year-old self. 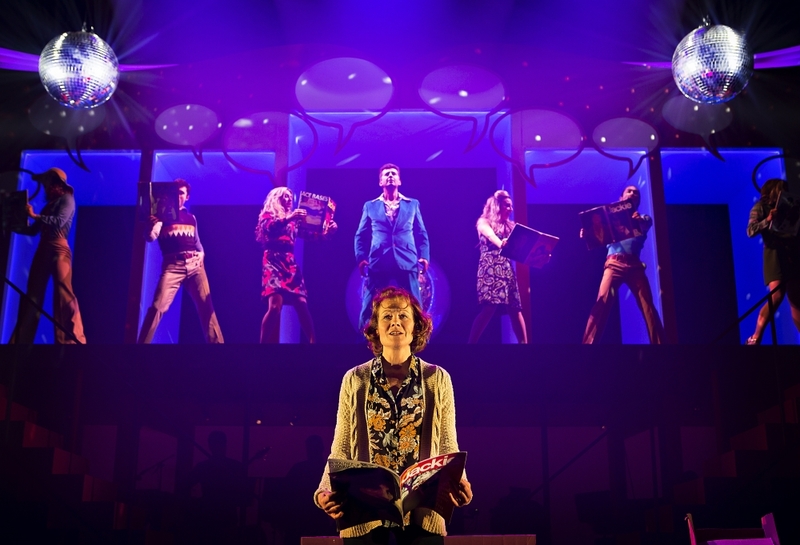 It’s without doubt this jukebox musical is definitely one for the ‘Jackie generation’. The script needs work but it clearly resonates with Jackie readers and does produce a fair few laughs with no hesitation poking fun at it’s own inspiration. The appearance of Cathy and Claire alone provokes cheers from the audience which just demonstrates the magazine’s pull even now. With hits from David Cassidy, Donny Osmond and Marc Bolan the soundtrack is spot on, and brilliantly performed by the onstage band, but unfortunately this often inspires a bit of audience participation… Save it for the ‘megamix’ at the end ladies! The staging works really well with the show. Moving staircases can often lead to clunky scene changes but with Anna Linstrum’s direction these are covered pretty well and the pace rarely drops. I loved the speech bubbles and use of props. You have to commend the casting – with a number of strong principals in the show it’s hard to pick out individuals. Janet Dibley leads the show, and while she portrays an endearing, relatable Jackie her voice unfortunately fails to match the vocals around her. Daisy Steere, the image of her teenage self, is the perfect headstrong, moody teenager with a showstopping voice. I was particularly impressed by Michael Hamway, playing Jackie’s son David – gorgeous voice. Bob Harms (Frankie) and Lori Haley Fox (best friend Jill) provide great comic relief from start to finish. 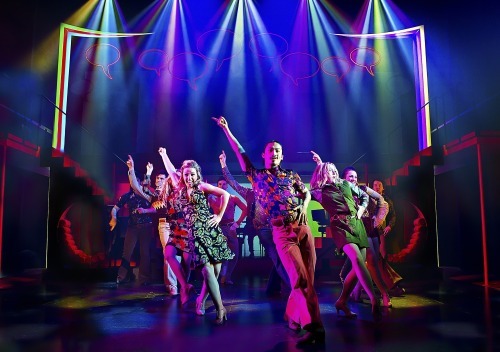 The ensemble is particularly tight and brilliantly choreographed by Arlene Phillips – her style and wealth of experience is perfect for the show. The first act medley including Mud’s Tiger Feet was a personal highlight. It’s not groundbreaking but it’s a good night out. Those who, back in the day, couldn’t wait to buy their copy of Jackie each week will without doubt love the show and those who didn’t can appreciate the good music and dance in the aisles with the rest of them! The audience loved it and with a show like this that’s got to be a win. Jackie the Musical is at the Churchill Theatre, Bromley until Saturday 26th March before touring the UK throughout 2016. Tickets and tour dates available through the website.